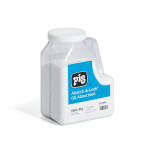 New Pig’s selection of Oil-Only Loose Absorbents absorb and retain oil and oil-based liquids without absorbing a drop of water. 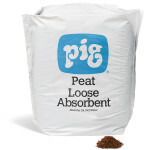 Our Oil-Only selection includes loose absorbents to help accelerate oil spill clean-up on land or water and loose absorbents to remove oily sheen to leave a non-slip surface. Universal and HAZ-MAT varieties are also available.